IGP orders tight security around INEC facilities nationwide after fire incidents – Royal Times of Nigeria. The Acting Inspector General of Police, IGP Mohammed Adamu has ordered a comprehensive water-tight and round-the-clock security for all Independent National Electoral Commission INEC offices, facilities and materials nationwide to protect them from all forms of crimes and mischief- before, during and after the elections. According to a statement by police spokesman, Frank Mba, on Sunday, the IGP also assured Nigerians of the readiness of the Nigeria Police Force to deliver on its mandate of providing a safe and enabling environment for the conduct of the general election. He said the Force remains committed to providing a level playing field for all political actors while remaining professional and apolitical in the discharge of its responsibilities. 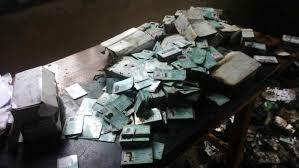 Meanwhile, INEC has said that it will reprint and deliver Permanent Voters’ Cards that were destroyed in recent fire incidents at two of its Local Government Offices in Abia and Plateau respectively. 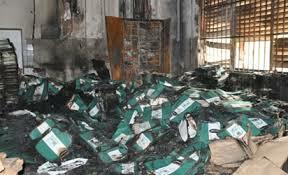 A Spokesperson for the commission, Festus Okoye, on Sunday said INEC has notified the Acting IGP of the emerging trend of the burning of the Local Government Offices of the Commission close to the conduct of the elections and at a period when the Commission is engaged in the massive movement of election related materials nationwide. The Commission also informed that the two fire incidents did not affect the Smart Card Readers that are presently being configured in the respective state offices of the Commission. INEC assured all Nigerians that it will not succumb to the antics of arsonists whose motive might be to create fear in the minds of voters and sabotage the conduct of the 2019 polls.